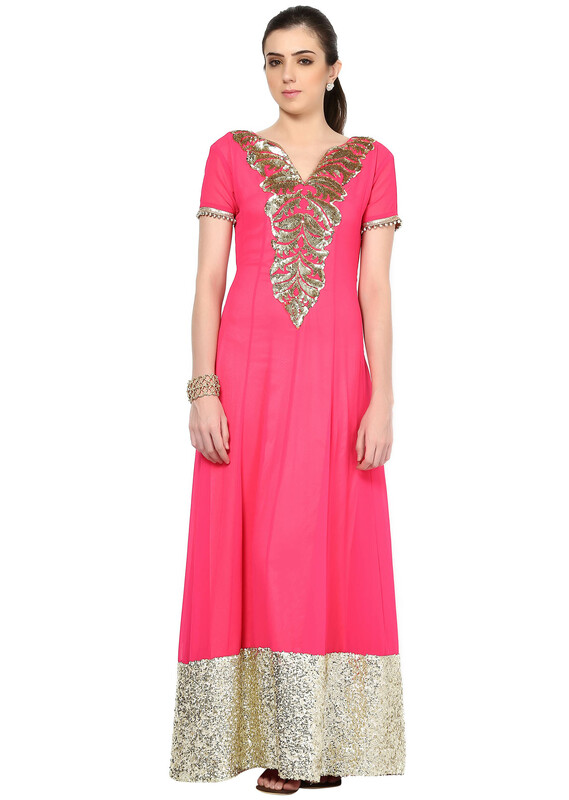 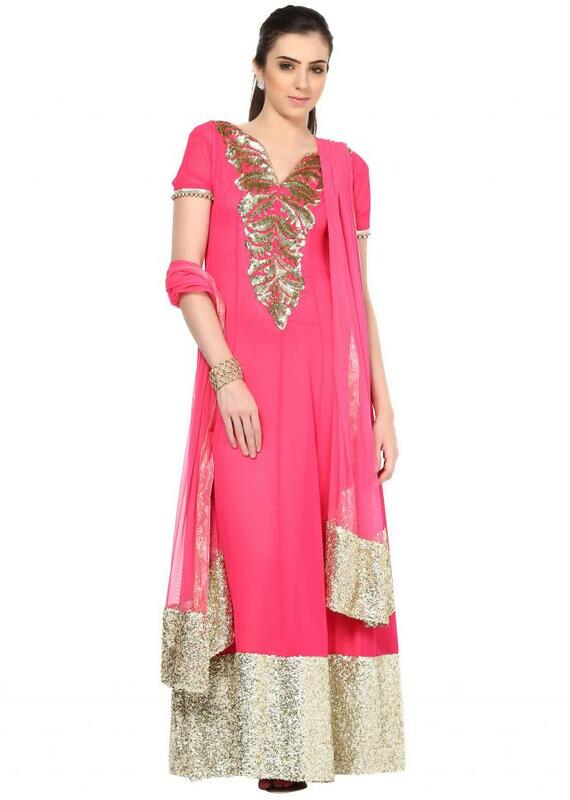 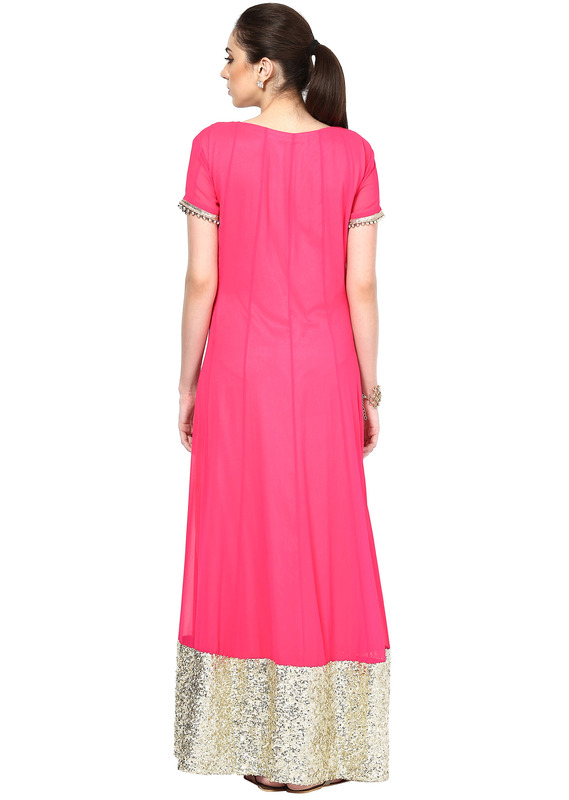 Pink floor length anarkali suit featuring in georgette. 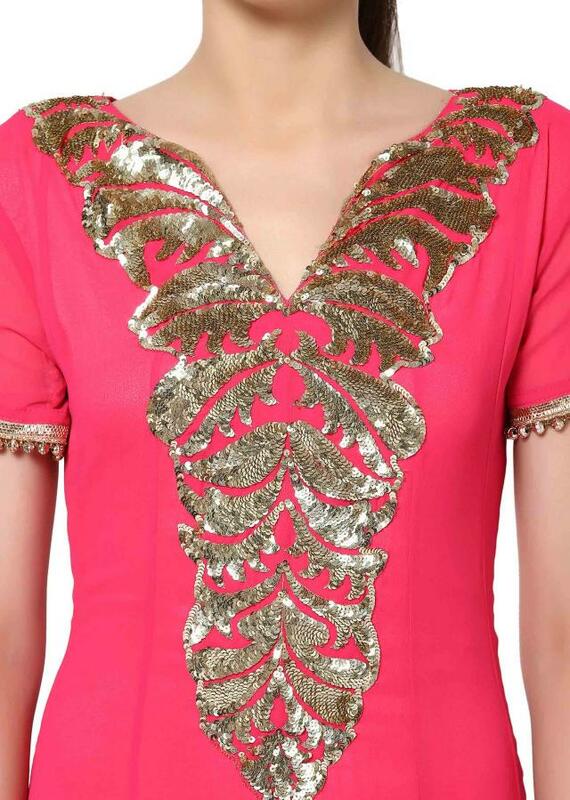 Neckline is embellished in sequence and hand embroidery. 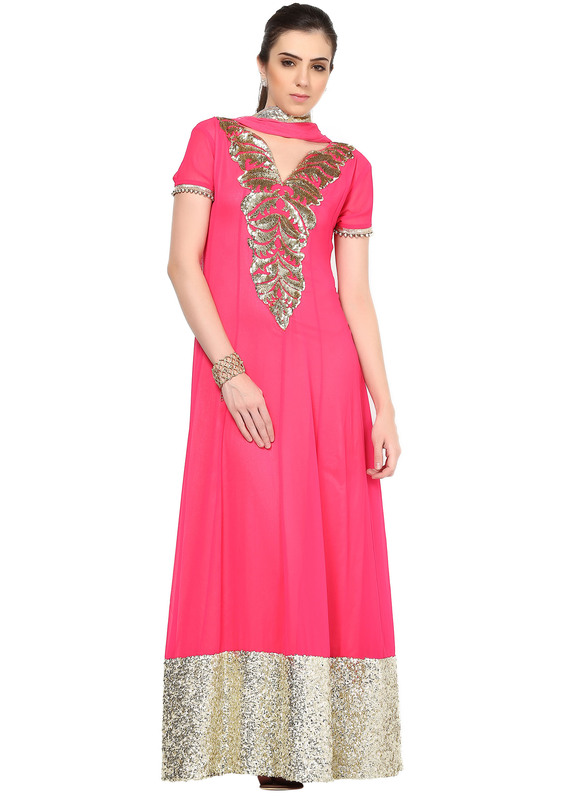 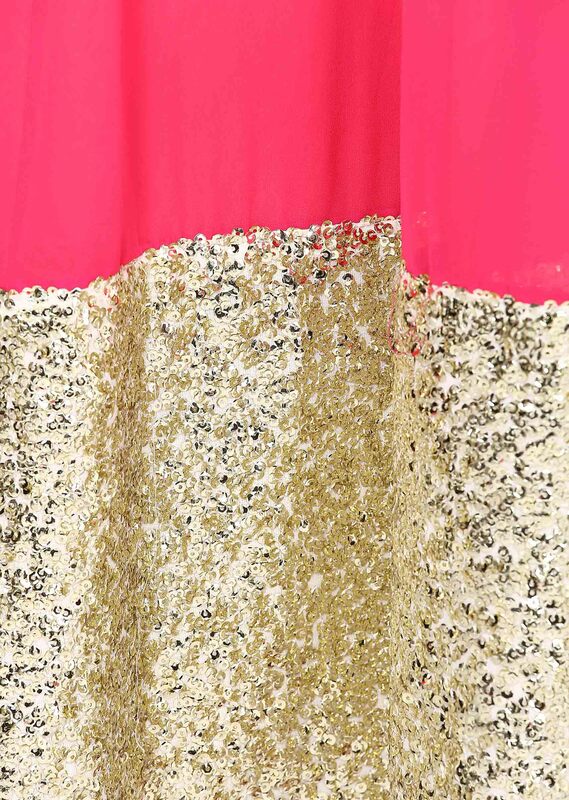 Its matched with pink net dupatta with sequence border.